After SEGA Japan’s New Year’s Day teaser/announcement, SEGA of America has today issued a similar press release regarding their plans to celebrate Sonic the Hedgehog‘s 20th Anniversary with events around the world. The publisher says we can expect details about these events throughout the year. Check the full press release out for yourself below. 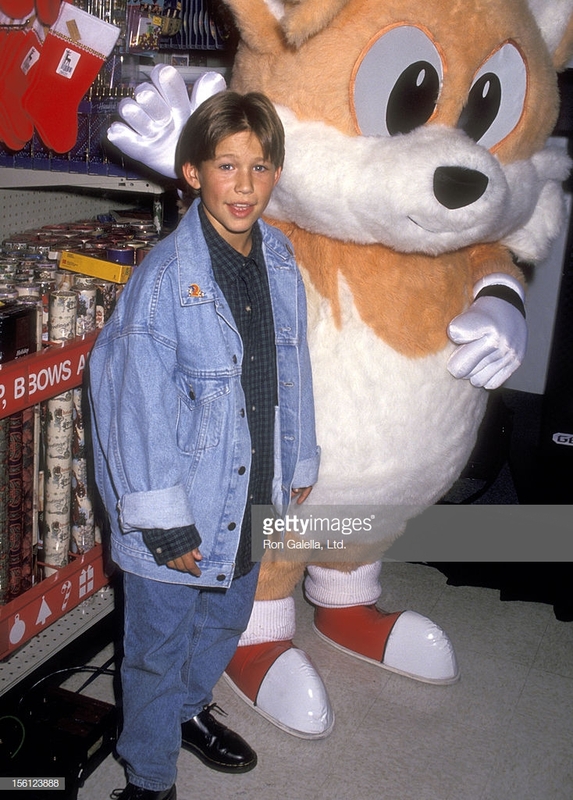 From the first day of the release of Sonic The Hedgehog™ back in 1991 on the SEGA Genesis™ console, Sonic the Hedgehog quickly became a popular gaming icon due to his super fast speed and his cool, edgy character. 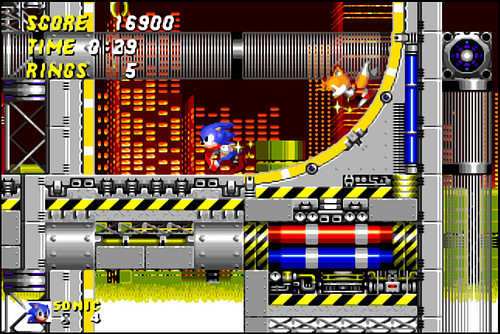 In the twenty years that the video games have been available, Sonic the Hedgehog has notched up over 70 million units sold worldwide. 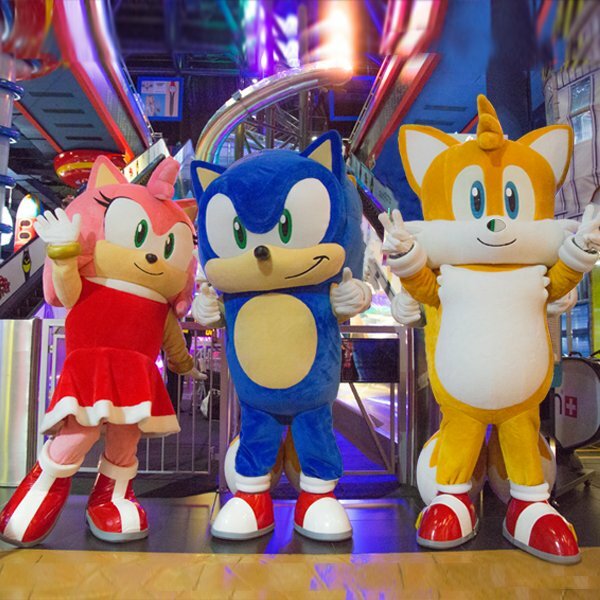 SEGA® Corporation is a worldwide leader in interactive entertainment both inside and outside the home, encompassing consumer business, amusement machine sales and amusement center operations. 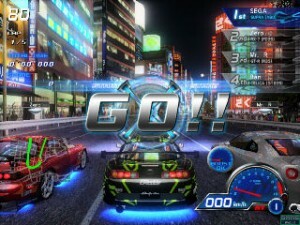 The company develops, publishes and distributes interactive entertainment software products for a variety of hardware platforms including PC, wireless devices, and those manufactured by Nintendo, Microsoft and Sony Computer Entertainment Inc. SEGA Corporation’s Web site is located at sega.jp : . 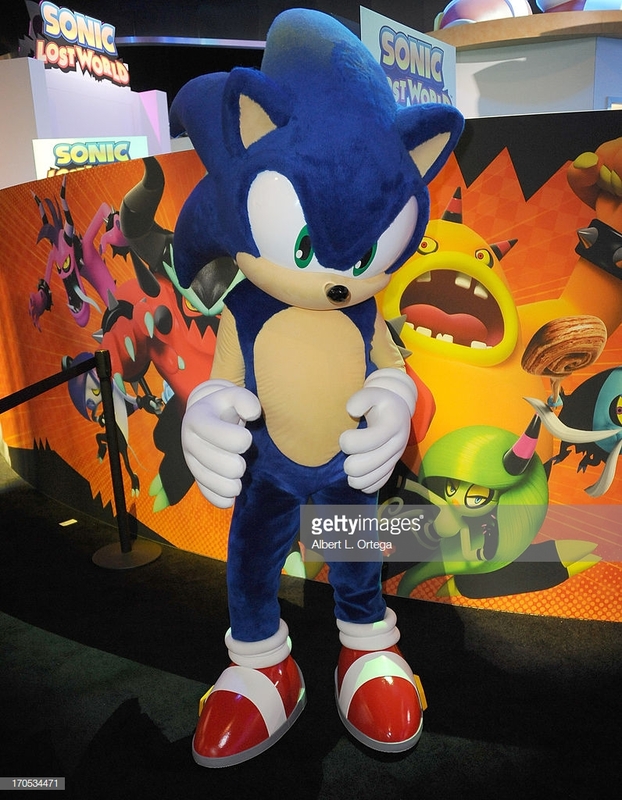 What kind of events would you like to see for Sonic’s 20th Anniversary? Share your ideas in the comments. 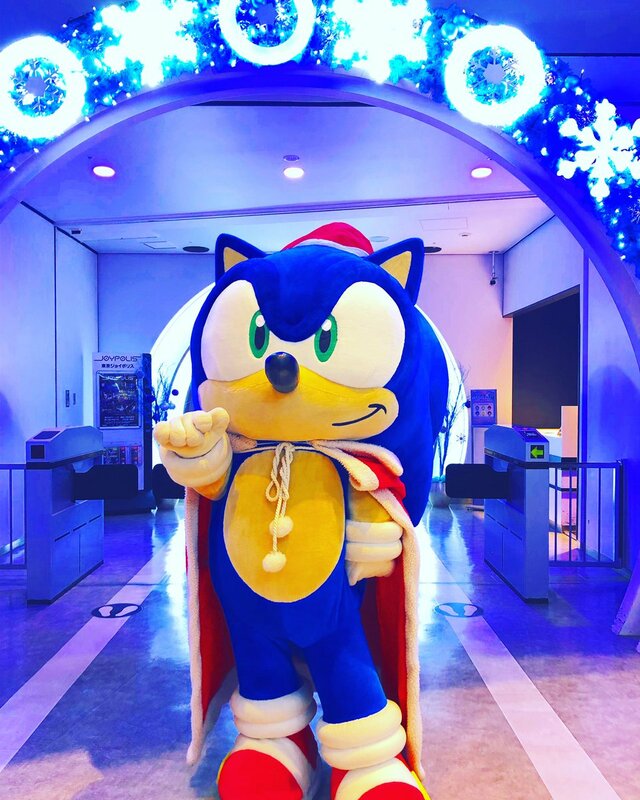 In an entry to the SEGA of America Blog, Kellie announced today that SEGA will be attending annual pop culture themed street fair, the J-Pop Summit Festival this weekend. Plenty of SEGA’s latest games will be on show, including Vanquish, Sonic the Hedgehog 4: Episode I, Sonic Colours, Sonic Adventure, Crazy Taxi, and Yakuza 4. As a juicy bonus, from Noon until 2pm, SEGA will be showcasing Sonic the Hedgehog 4: Episode 1 in playable form on the big screen in the movie theatre at VIZ Cinema. As if that isn’t enough, some goodies are going to be given away too. 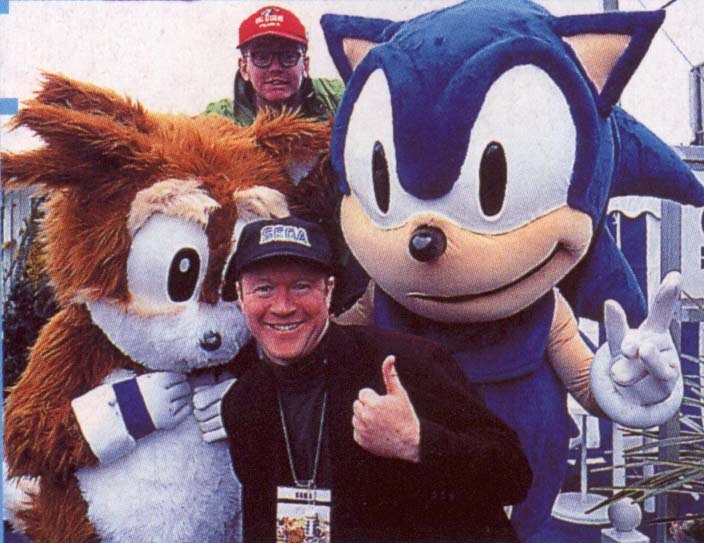 Who: Team SEGA and you! Where: Post Street between Webster St. & Laguna St., Japantown, San Francisco, CA. Why: Because you like free swag, playing fun games, and hanging out with us! For more information about the event, head over to the J-Pop Summit Festival’s website. Will you be attending the event? Let us know in the comments. 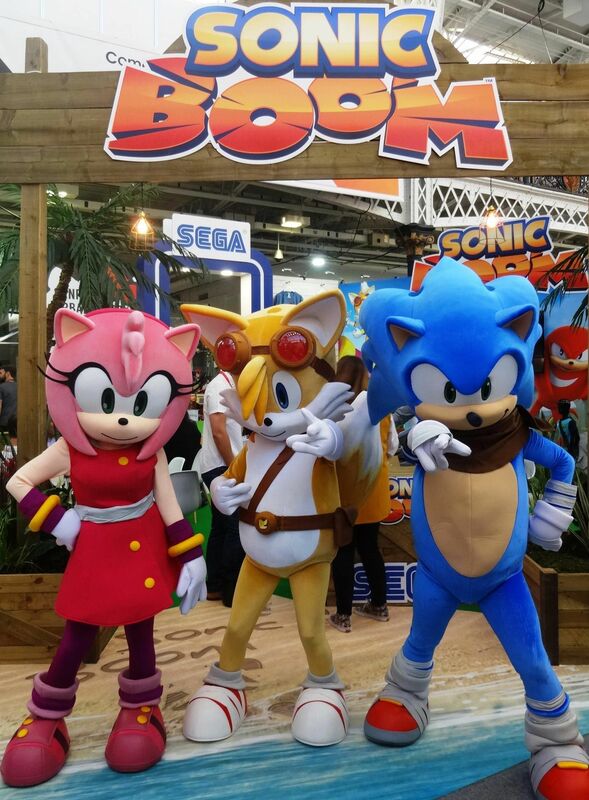 SEGA of America’s Kellie has revealed via their Twitter account that SEGA will have a booth at this years New York Comic Con. 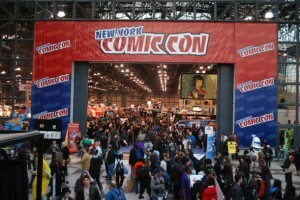 A look at the conventions official website’s exhibitor list re-affirms this. 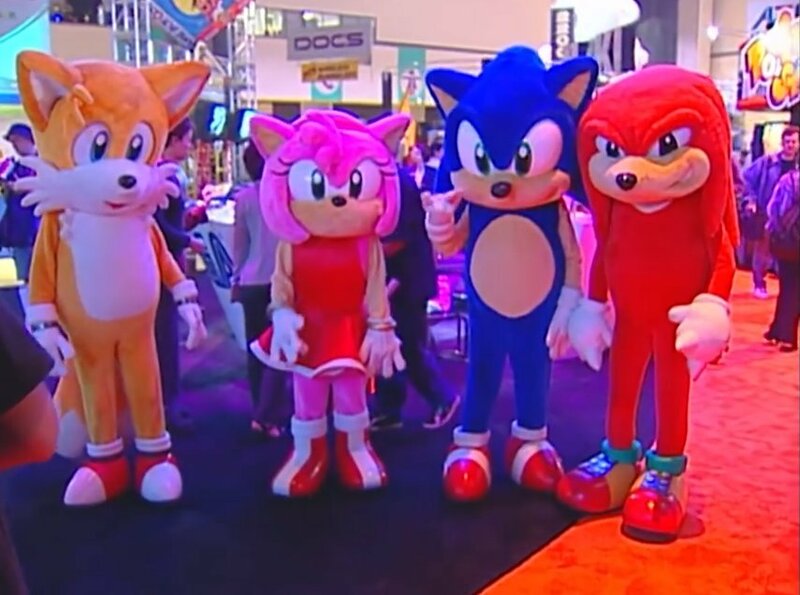 Currently, no details have been announced as to what games SEGA will be bringing to the show, but if recent events the publisher has attended are anything to go by, then you can expect them to bring demos of their Christmas line-up. We’ll keep an eye open for more information. 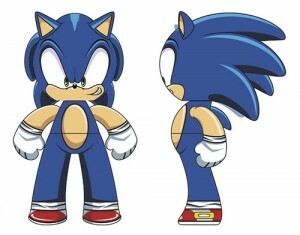 There’s some interesting news for Sonic fans attending the convention, specifically the merchandise collectors. 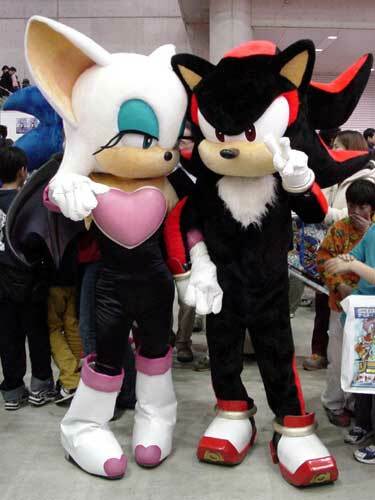 The ‘show exclusives’ guide at the conventions website reveals that Mythical Fair will be at the event selling their Chaos Emerald replicas for $50, with the optional stand costing just $2. The Emeralds are made of solid crystal and measure 100mm across in their largest size. They will also be available in a variety of other sizes/colours. If you can’t attend the event and are interested in the Emeralds, you can order them online at Mythical Fair’s website for the same price. Will you be attending this years convention? Let us know in the comments. 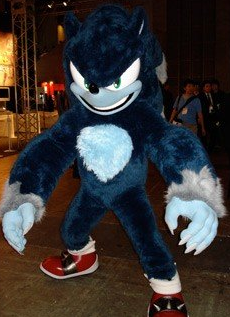 Everyone’s favourite blue hedgehog with attitude is turning 19, and we’d like you to help us celebrate! Take part and you could win the ultimate birthday gift – a free trip for you and a friend to Tokyo, Japan, to visit SEGA, meet the Sonic Team, and get some exclusive playtime with Sonic The Hedgehog 4 Episode I! Once judging is complete, the top 10 entries will go live on the website and the fans themselves will vote on our winners! The prizes are amazing, the contest is huge and the excitement is high – do it to it and let’s show the world just how passionate our fans can be. Up, over, and gone! 1: You’ll need a YouTube account in order to participate. Don’t have a YouTube account? No problem – register here. 2: Your video must be hosted on YouTube and adhere to YouTube’s uploading requirements. 3: Entries will be judged on three categories, each worth 10 points total for a total of up to 30 points. 4: In addition, up to 5 bonus points can be awarded if your submission gets Sonic in the public eye. The more people involved, the more points awarded! 5: There is a limit of one entry per person. 6: Entrants must fill out all required submission fields in order to enter. 7: The deadline to submit your entry is Monday, July 12th at 9:00 AM Pacific time. 2. Two first place iPod Touch prize packs! 3. 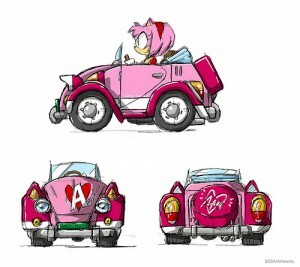 100 Random winners get free Sonic swag! ArchangelUK of SEGA Europe informs at the Sonic City Blognik that one grand prize winner will be picked from America and another from the UK. 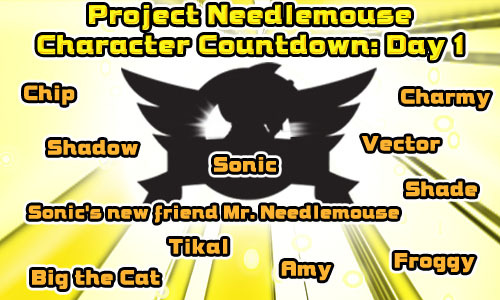 Head on over to the official Sonic 4 contest page to get your entry in now! 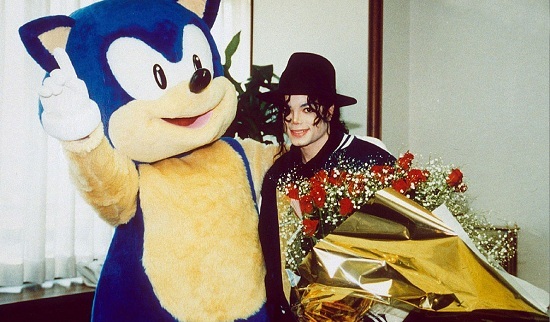 With Sonic’s 19th Birthday coming tomorrow (June 23rd) you must be wondering if SEGA have anything special planned? Well to mark the occasion SEGA of America have announced another of their Mega Sales but this time it’s Sonic themed with the odd few SEGA titles thrown in there too. Xbox LIVE Marketplace: Thursday June 24th, one day only! 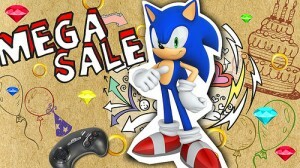 A ton of Sonic titles are going on sale, as well as some SEGA classics for the iPhone. Check out the schedule for the sale below — these price drops are applicable in North America, Europe, and Japan! 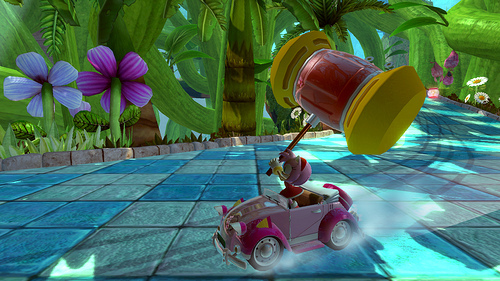 Its Sony Tuesday, with tons of Sonic and Sonic DLC available over PlayStation Network. And then on Thursday we have great Sonic titles going on sale, over Xbox Live Arcade — all featuring the Lock-On Technology of the Genesis originals! 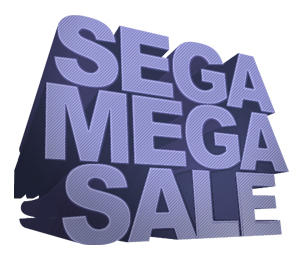 SEGA of America say this sale applies to Europe but prices have not been announced by SEGA Europe yet but as soon as they are announced we’ll update with the full list. SEGA of America have posted up some photo’s on their blog of the innards of their E3 booth aswell as a few details about the games being showcased, the blog confirms Sonic Free Riders is at the booth but not in playable form so anyone interested in the game will have to watch a member of SEGA’s team play the game through a clear glass box. Looking at the screen in the photo you can see the player is controlling Storm and all of the usual Riders series HUD is back including a gauge but there is nothing to show if this will control air or a gravity mechanism yet. 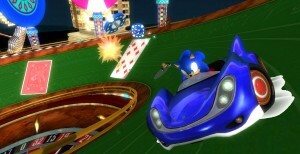 Sonic’s other upcoming 2010 titles Sonic Colours(both Wii and DS versions) and Sonic the Hedgehog 4: Episode 1 are also present at the booth in playable form. 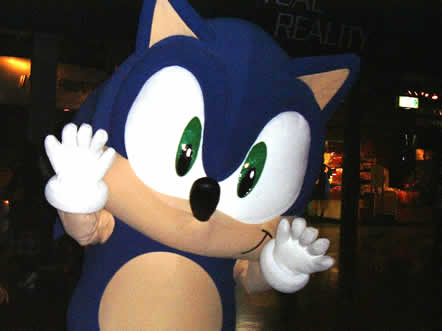 For pictures of SEGA’s booth outside of the Sonic departments visit SEGA of America’s blog. Thanks to Stasis Colours at the SSMB for the heads-up! 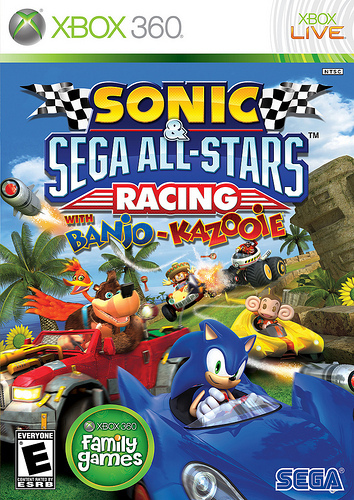 I dont know how this slipped by us but SEGA of America have taken a page out of SEGA Europe’s book as they will be holding a Community Day at their San Francisco base today allowing anyone interested in attending to get some hands-on time with the PS3 and Xbox 360 editions of Sonic & SEGA All Stars Racing. If you are interested in attending let SOA know by posting in the comments section of the events blog entry. The event will run from 12pm to 3pm PST, anyone worried about hunger fear not as SEGA of America will be providing food to fill up your tummies. 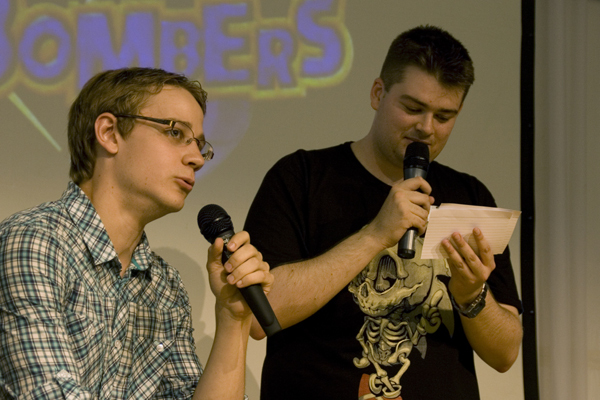 Attendees will also get to meet Dan (the game’s brand manager) and Omar (the game’s producer) who will be answering all of your questions. Wether this is the final code or the very near final code of the game we at TSS recently tried out at Alton Towers is unknown. Will any of you be attending? Let us know in the comments. 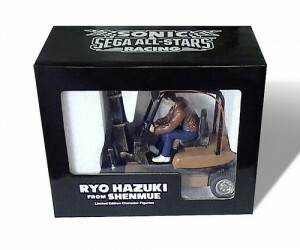 Official U.S. ASR Release Date Revealed & R-Tuned in ASR? 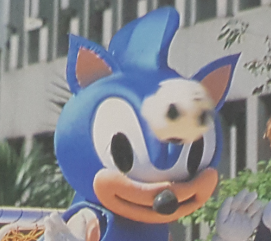 Eagle eyed SSMB Member Doctor Eggman has spotted a picture of what could be an R-Tuned track in the latest Sonic & SEGA All Stars Racing trailer. 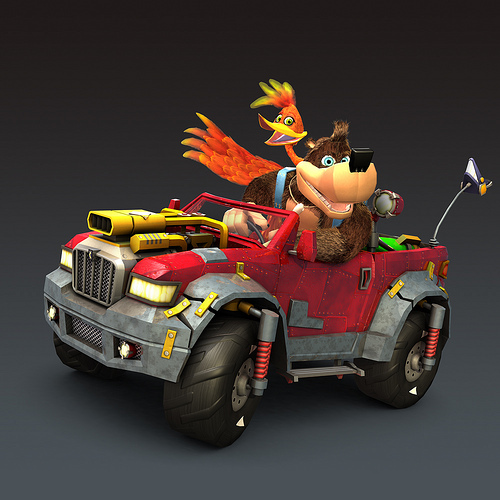 Further to support this we have word from Steve Lycett of Sumo Digital’s latest Developer Diary that he and his team got to play an early version of R-Tuned and they were offered levels from the game if they’d like them for ASR. 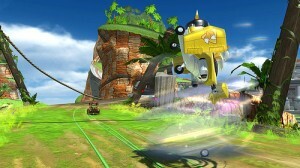 Comparing the small screen from the latest trailer with a screenshot from R-Tuned the tracks do look extremely similar. 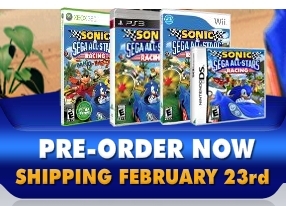 In other news, SEGA of America have updated their product page for Sonic & SEGA All Stars Racing with a release date of 23rd February 2010 for all 5 formats, confirming the speculation of the same date U.S. retailers have been listing. Thanks to NinMicroSega for the heads up on the U.S. release date and thanks to Doctor Eggman for the well spotted R-Tuned info and images! 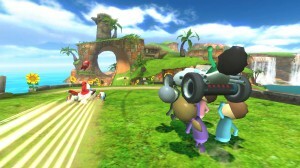 Look’s like despite being wrong about Gamecube Controller support Nintendo’s Wii Nintendo Channel was at least right about Mii support being in the Wii version of Sonic & SEGA All Stars Racing. 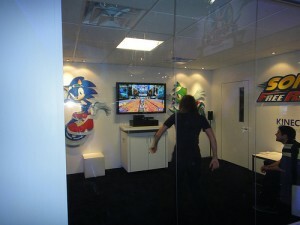 SEGA of America and SEGA Europe have just confirmed the feature over at their blogs with two screenshots. 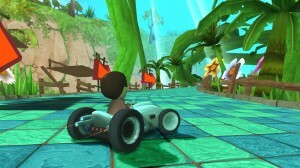 The Mii’s look to have their own vehicle similar to how Xbox 360 Avatar’s will have their own vehicle too. The All-Star Move for Mii’s also look’s the same as the Avatar move too where your friend’s Mii’s will come to your aid and give you a boost of speed and power. Thanks to bolt7 for the heads up. SEGA of America have revealed more on the U.S. version of Sonic Classic Collection on the game’s product page including the U.S. box art which contains a very different background compared with the European artwork. Also on the website is the game’s ESRB rating of E for Everyone and the release date that has been updated from Spring, 2010 to March, 2010 which means the game will hit the U.S. the same month as Europe. So, which box art do you prefer? Let us know in the comments. 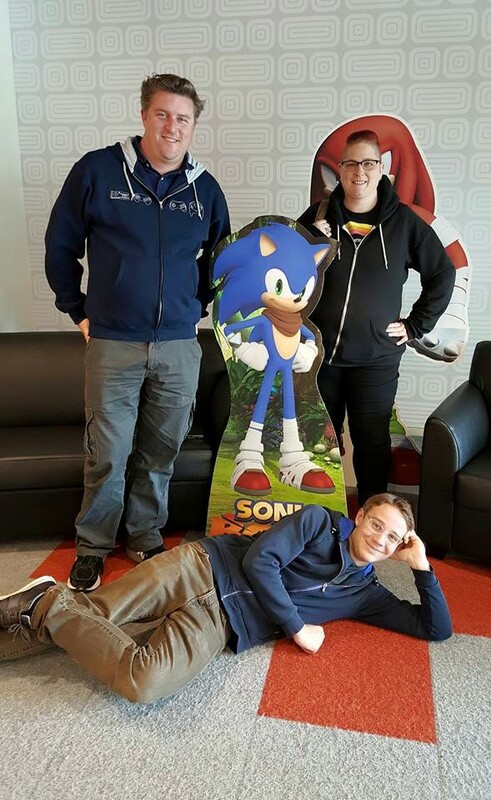 An expert at putting his foot in his mouth and insulting his company’s biggest fanbase, SEGA of America President and Co-Owner, Simon Jeffery, has packed his bags at SEGA. Jeffery will become an executive at iPhone developer and publisher “ngmoco,” a company founded last year by a former EA executive, Neil Young. Jeffery has made it well known that he loves the iPhone. 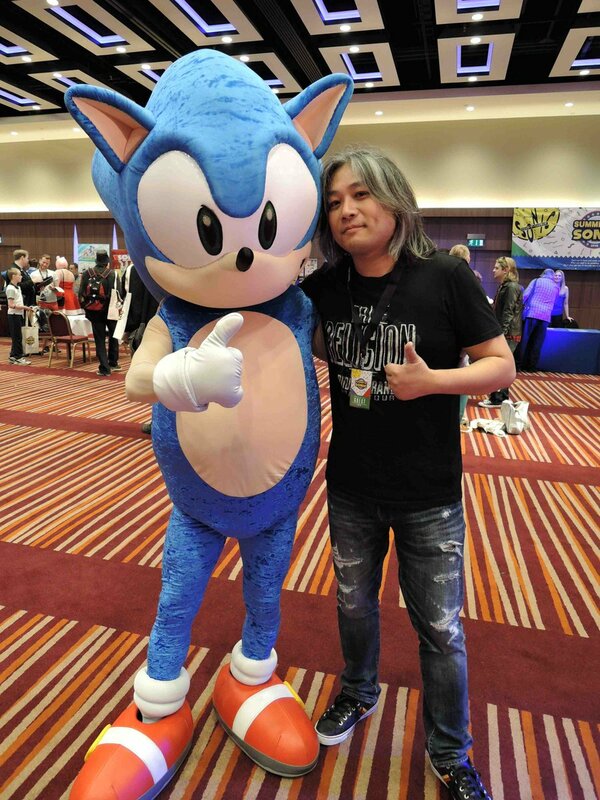 While the move might seem idiotic on the surface for a president of SEGA to move into another role at a smaller company, the move is likely a simple pursuit of interests. 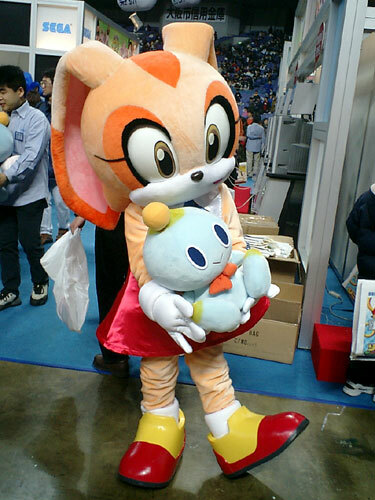 Whatever might have sparked Jeffery’s departure from SEGA, I know that some people are having a party regardless. UPDATE (June 16th): SEGA of Europe president, Mike Hayes, will now be overseeing SoA. Read the full story at MCV. 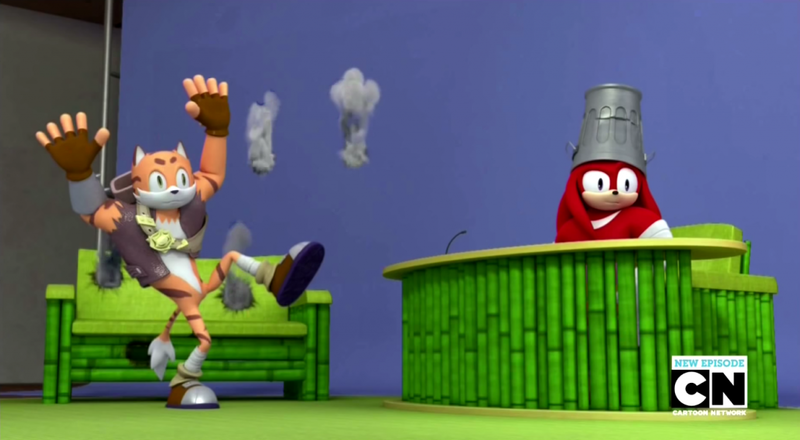 After an early report from IGN who claimed they had reason to believe 30 staff had been cut from our beloved video game publisher SEGA, a new report from EDGE with word from a SEGA of America representative has arisen to confirm jobs have been cut. 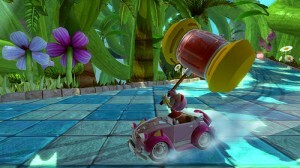 Guess even Sonic’s latest title can’t save them from the current financial crisis (sorry Sonic, we know you try). With todays financial crisis and more and businesses facing pressure and/or closure every day, it is becoming tougher for people to find employment. We at TSS wish those staff members well for the future and hope they do manage find more work and happiness through this difficult time whatever happens.